Like other manufacturers, Avid now offers its users more and more possibilities to work web-based. 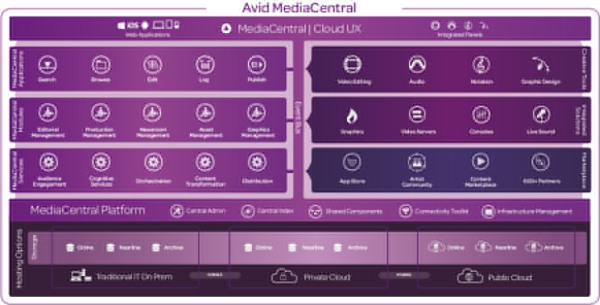 For example, the new version of Avid&s enterprise media production and management software suite MediaCentral has been streamlined and is now fully accessible over the web. 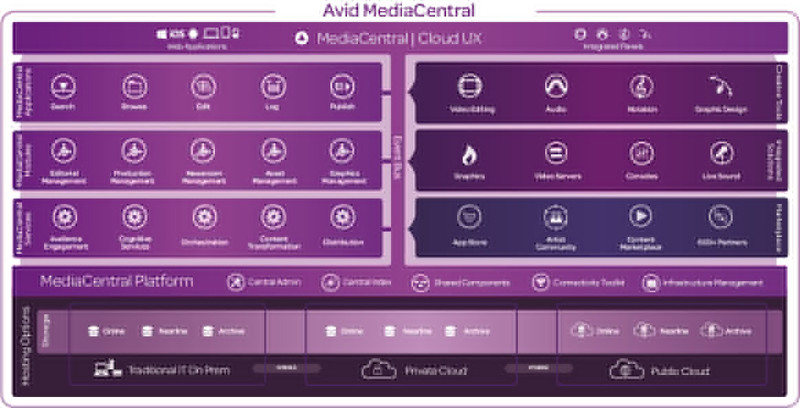 Via MediaCentral Cloud UX user interface, users can search, edit (collaboratively) and publish media online from any device (Windows or OS X PC or Android/iOS App smartphone) via browser. Several workflow modules (Editorial Management, Production Management, Newsroom Management, Asset Management and (soon) Graphics Management) can be selected to perform a wide variety of tasks over the Internet. Teams can view tasks, access projects, log and record clips, edit videos and publish content from anywhere with a unified interface on workstations, laptops and mobile devices. The new phonetic search function allows you to find clips that contain certain spoken words. The Editorial Management Module enables smaller teams to share folders, projects, bins, media and metadata via Avid Nexis Storage with any web browser using the new HyperBin architecture. The production management module aims at large broadcast and media productions with the aim of simplifying production management and workflow automation. 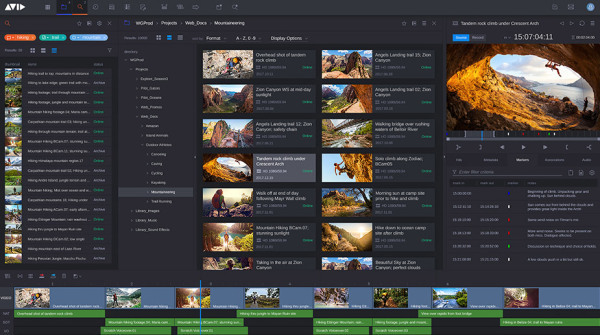 The Asset Management module aggregates content from any source and automatically analyzes it into a comprehensive index of searchable metadata accessible through MediaCentral Cloud UX, Avid Media Composer, and Adobe Premiere Pro CC. The newsroom management module provides story-based workflows that enable news teams to quickly deliver current news across multiple channels. The MediaCentral Graphics Management Module (which will be released in the future) provides news and sports production with an easy-to-use graphic asset management solution that allows them to access graphic templates and easily add appealing graphics to their content from any device.